On this day in 1989, we lost Old School Wrestling Promoter Paul Boesch at the age of 76 due to a heart attack. Paul Boesch used to be the proud promoter of the NWA territory “Houston Wrestling” between 1967 and 1987. He has yet to be inducted into the WWE Hall of Fame, which is most likely going to happen as part of the annual ‘Legacy Wing’ inductions. † REST IN PEACE PAUL BOESCH! 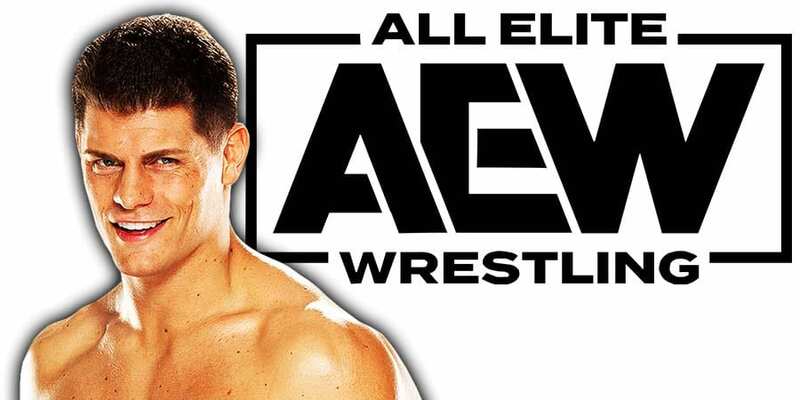 During a recent interview with New York Post, AEW Executive Vice President Cody Rhodes was asked how All Elite Wrestling’s TV show will be fresh. Cody then teased the return of “Old school creativity”, where the focus was on the characters, having enhancement matches on TV and saving the big matches for PPV. “To me it’s treating it as live sports. The core to that is characters, and I think characters beam across your television set or devices in ways perhaps people have forgotten. Wrestling used to have these great enhancements matches, these squash matches where you would see these characters and the things he could do. He’d tell you what you had at the pay-per-view event and things of that nature. At the core of all wrestling, when it’s done right, is the characters and their connection to the audience. If you really think about it, we’re the only thing out there — the pro wrestling genre in general — we are the only thing out there with that type of engagement with the audience, and that engagement somehow affects what happens in the ring, especially when you are someone like a Chris Jericho and you can hear it, feel it completely in your bone. It’s really important that the character engage the audience. You don’t just want to be watching a show, you want to be participating. In terms of talent, that’s what matters a great deal to me. It’s one of the biggest factors in hiring is fresh. To give you an example: We’ve all watched a lot of wrestling where a lot of guys have been recycled and rehashed and reused, and there is always a lot of activation of the legend. I totally get that. I’m not anti it. I just think, if you’re starting a company and not many people have been starting a company in wrestling, you start with people they haven’t seen and people who haven’t gotten the opportunity and get to grow up in front of you and balance it out.